In the United States 1 in 3 families struggle to afford diapers. Access to diapers is an essential need for a child’s well-being, similar to food, shelter, medicine and devoted care. Unlike other basic needs such as food and heat, federal and state “safety-net” programs including Medicaid, the Special Supplemental Nutrition Program for Women, Infants and Children (WIC) or the Supplemental Nutrition Assistance Program (SNAP), do not provide provisions to help families with obtaining diapers. 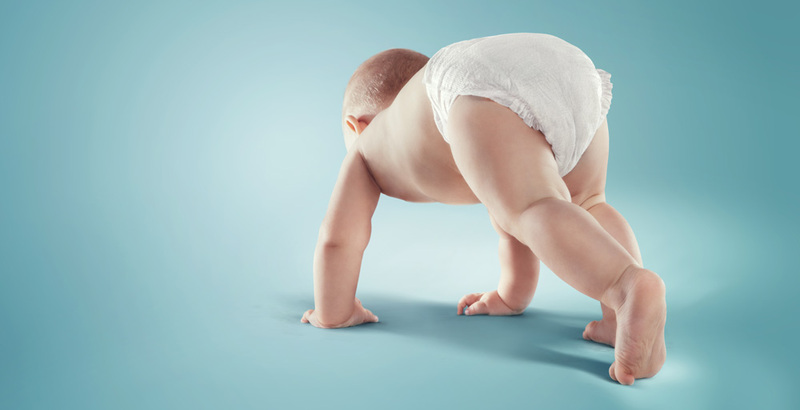 Infants typically use up to 12 diapers per day, while a toddler uses up to 8 diapers a day. Diapers cost approximately $70 – $80 per month for one child and often low-income families may pay more for each diaper purchased. For example, according to the Pediatric Nursing report in 2015, “Diaper Need: A Change for Better Health,” low-income families may not have transportation to or be able to afford memberships to warehouse clubs to make bulk diaper purchases or have enough money to purchase larger packages of diapers which often provide a lower per diaper cost than smaller packages, or have access to the internet to make discounted diaper purchases online. Babies who remain too long in a soiled diaper are exposed to potential health risks and are more likely to experience child abuse and neglect. More than 30% of respondents reported increased levels of maternal stress and depression as a result of diaper need. These mental health needs were even more pronounced in mothers who had trouble obtaining diapers than in mothers who reported food insecurity. Child care programs required families to provide at least a day’s supply of diapers and many parents cannot go to work or school if they can’t leave their children at child care. If families do not have the number of diapers required by the child care program, parents may have to miss work or school to stay home with the child further limiting income and opportunities. If the parent cannot utilize child care to comply with requirements of Temporary Assistance for Needy Families (TANF), they may lose their child care and other benefits. Primarily, without child care, children miss the opportunities for quality early childhood education and thus the achievement gap widens. Every child in Monmouth County deserves to be clean, dry and healthy! Just as food banks are a reliable source of support for families in need, diaper banks provide a basic need for families in crisis. In 2015, 4,028 children less than 5 years old lived in poverty in Monmouth County. Child Care Resources is bringing awareness to diaper need – the lack of a sufficient supply of diapers to remain clean, dry and healthy. Are you in need or know a family in need of diapers? All families who would like to receive diapers must have a completed Diaper Bank Client Referral Form. The form must be completed by a community organization that has evaluated the family’s needs and can validate the family is in need of diapers. Examples of community agencies include but are not limited to the VNA, Fulfill, Monmouth County Division of Social Services (MCDSS), Child Care Resources, a religious organization, school or child care program. All referred families must be Monmouth County residents. The children listed on the form who are receiving diapers must have a birth date prior to the day the family is picking up diapers. No future due dates for children will be accepted. The Diaper Bank Client Referral Form must be completed with all of the required information and a specified date and time that the family or an organization representative will pick up the diapers. 7. Contingent upon availability of the diaper sizes requested, the diaper allotment will be prepared and available to pick up at our front desk for the requested pick-up date and time. Child Care Resources’ business hours are Monday, Tuesday, Thursday and Friday from 8:30 am – 4:30 pm and Wednesday from 8:30 am – 6:30 pm. We are located at 3301 C Route 66, Neptune. Pick-ups can be scheduled at anytime during normal operating business hours. 8. Families who are eligible will receive approximately one weeks’ worth of diapers in the size requested, as well as one package of wipes per child once per calendar month. All distribution amounts are contingent upon availability. 9. Child Care Resources will provide the family with a copy of the completed Diaper Bank Client Referral Form with the “Next Eligible Date” they are eligible to receive diapers. Families are eligible to receive diapers and wipes once per calendar month. For example, if a family receives diapers on January 2nd, they will then be eligible to receive their next allotment on February 2nd or the next business day if the date falls on a holiday or weekend. 10. To receive subsequent allotments of diapers, families need to obtain a new Diaper Bank Client Referral Form each time from their community organization representative to schedule a pick-up date and time and assess any changes in what sizes and needs the family may have. For any questions or for additional information, please contact Daynne Glover, Assistant Director, at 732-918-9901, Ext. 105 or at dglover@ccrnj.org. Are you interested in supporting the Diaper Bank at Child Care Resources? Asking guests to bring diapers as their “admission” or in “in lieu of gifts” to baby showers, birthday parties, movie nights, etc. Please review and complete the Diaper Drive Partner Form and submit it via email to Daynne Glover at dglover@ccrnj.org or by fax to 732-918-9902, Attn: Ext. 105. We can then set up a time to speak to discuss the Diaper Bank further, a time to drop off and pick up the collection bin and provide diaper drive promotion materials. If you are interested in contributing to the Diaper Bank at Child Care Resources with a financial gift, please consider contributing by mailing donations that denote “In Support of the Diaper Bank,” to Child Care Resources, Attn: Ext. 117, PO Box 1234, Neptune, NJ 07754-1234. Or you can make a donation now, by clicking here. If you cannot find what you are looking for on this page or have further questions, please do not hesitate to contact, Daynne Glover, Assistant Director, at 732-918-9901, Ext. 105 or at dglover@ccrnj.org. Thank you for supporting the Diaper Bank at Child Care Resources and the children and families of Monmouth County!